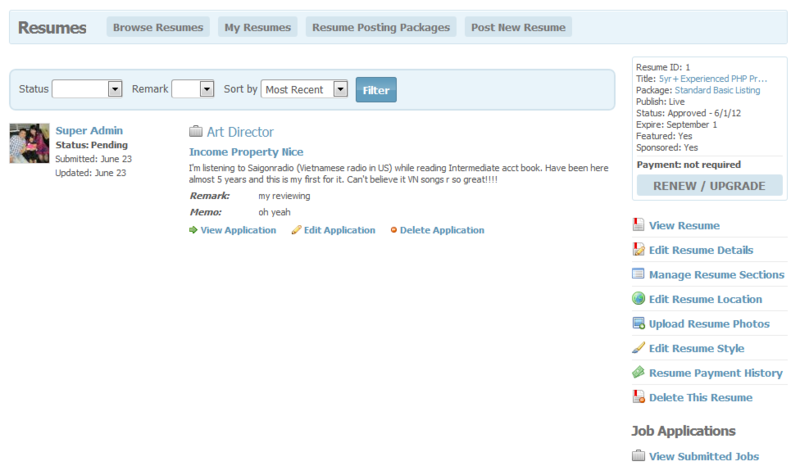 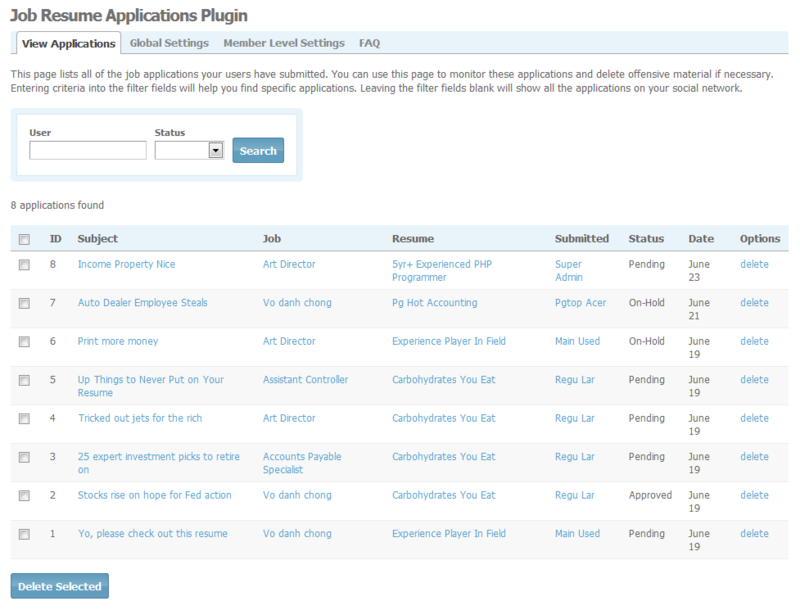 This addon integrates both Job Post plugin and Resume plugin together. 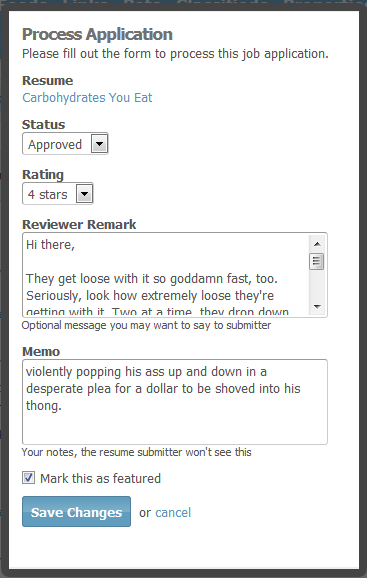 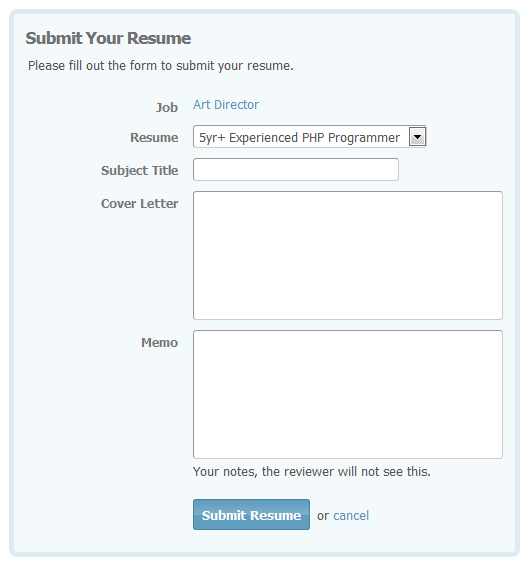 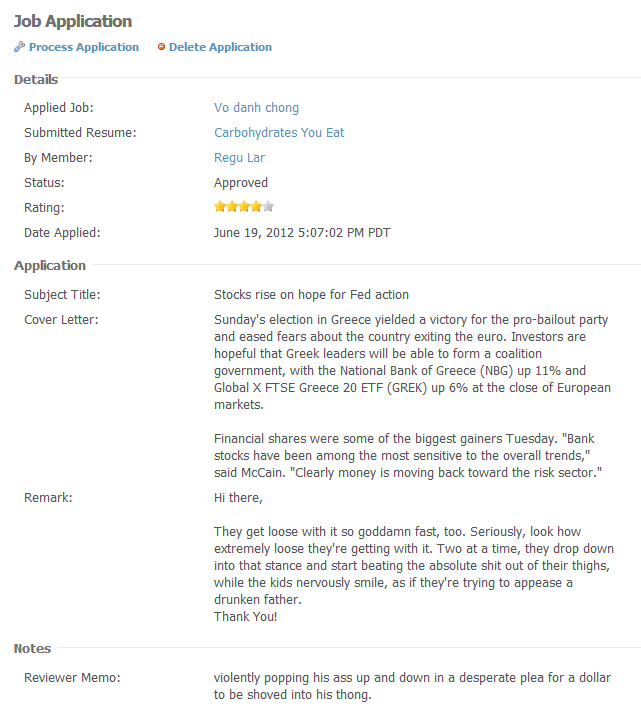 It allows your member to submit their own resumes to jobs posted on your site. 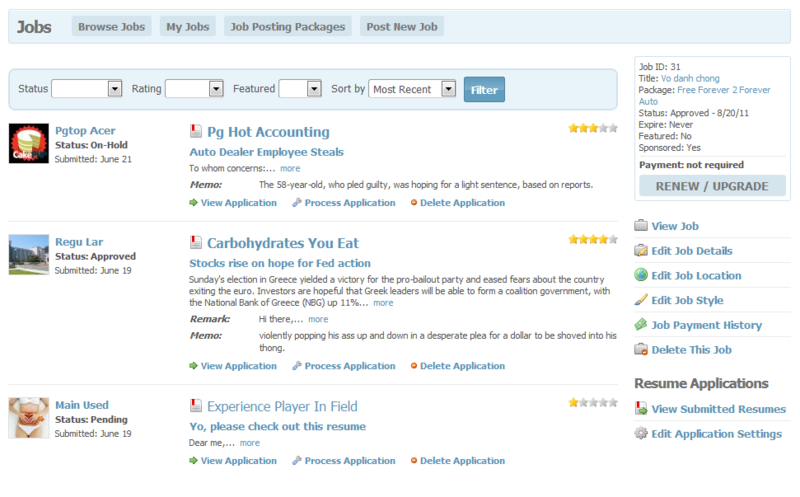 It comes with very easily to use interface which let your member view submitted jobs, and as well as job posters to manage and process submitted resumes.